Kuroneko Ramen Noodle Bar is one of my favourite local spots in the Sutherland Shire. I simply love their dishes, always packed with flavour and with an amazing presentation. They remind me a lot those family-owned restaurants I visited in Tokyo and Kyoto. 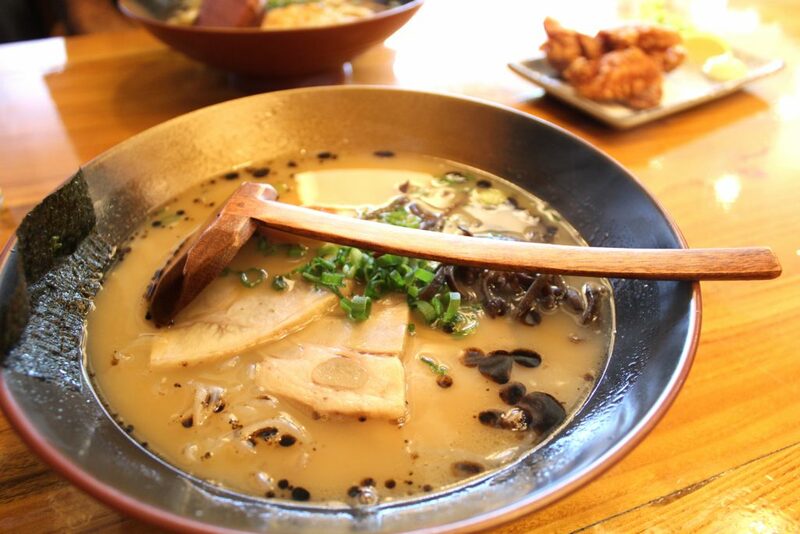 They serve a huge range of traditional Japanese dishes, such as ramen, udon and rice bowls. All equally delicious. Interestingly enough, aside from serving all this traditional Japanese goodness, they are very creative and open minded. A few months ago they decided to provide a new noodle option to their customers: shirataki. In case your are not familiar, shirataki noodles are gluten-free and super low carb noodles, with less than 2 grams of carbs per 100g. Amazing, don’t you think? Of course, I had to try it out. I’ve decided to try my ramen with shirataki noodles and Hubby got a traditional Udon. Mine: Tonkotsu ramen – pork belly chashu, soft boiled egg, spring onions, wood ear mushroom, and shirataki noodles. Hubby: Kara-age Chicken Udon – served in a bonito and shitake mushroom broth. Tonkotsu ramen: pork belly chashu, soft boiled egg, spring onions, wood ear mushroom, and shirataki noodles. 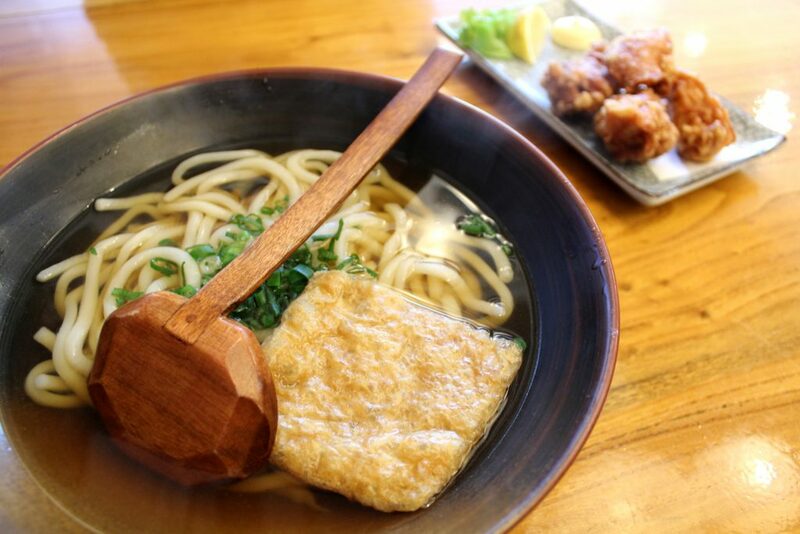 Kara-age Chicken Udon: served in a bonito and shitake mushroom broth. I don’t know about you, but I simply LOVE ❤️ Ramen. I’m crazy about the broth, and honestly don’t care much about the noodle. Actually, I often feel it is too much, and I end up leaving some in the bowl so I have enough space for the broth. Regarding Hubby’s Udon, he loved it. The broth was perfect, noodles firm enough and the fried chicken to die for. 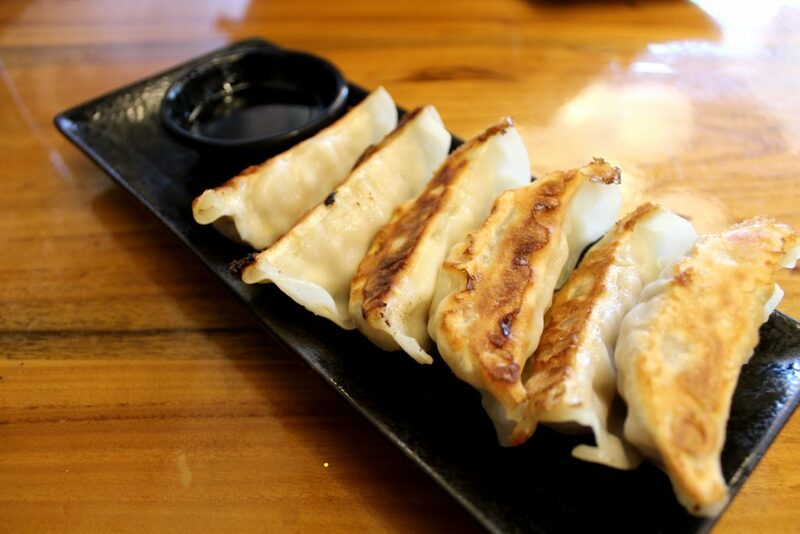 About the gyozas, perfectly sized portion and incredibly delicious. If you happen to live in the Shire, or maybe just touristing around, this place definitely deserves your visit!